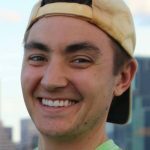 I’m excited to welcome Nik Sell a school-based physical therapist to the blog today! He will be sharing some great options for supportive classroom seating for alternative and complex classroom seating needs. Sitting. Sitting might seem like a pretty boring topic. Most of us spend a great deal of our day sitting. In a meeting. At the dinner table. On our couch. Sounds pretty dull, right? Supportive seating is important! Almost all of us have experienced joy thanks to the ability to sit. Whether we were babies (and, last I checked, most of us were at one point or another) learning to sit for the very first time; preschoolers sitting around friends on the floor for circle time; or even grown-ups sitting down in our favorite armchair to watch the nightly news.In fact, the ability to sit is a crucial component to success as a potential employee in today’s job market. The truth is, all of us sit. But even more important: all of us sit DIFFERENTLY. Nowhere is this truer than within the walls of our school buildings and supportive classroom seating is important for all populations of students. Let’s all rediscover the wonders of sitting, and take a look at some alternative seating options within the classroom. 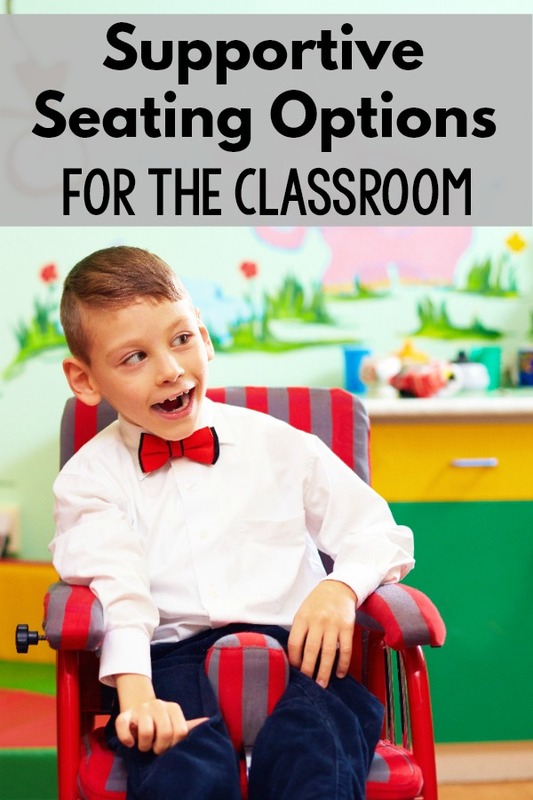 These options are appropriate for a wide variety of students, from those with mildly decreased sitting balance or core strength, to students requiring maximal assistance and support. Some common diagnoses of students who may benefit from supportive seating include cerebral palsy, Down Syndrome, and spina bifida, however the diagnosis does not determine the best seating option: this should be based on a thorough assessment of each individual student’s seating needs! Camp Chair: Great choice for students needing mild-moderate support, or for those with difficulty assuming a traditional “criss-cross” sitting position. This chair is also foldable, making it easy to store and transport! Cube Chair: Used for students requiring additional back support. Even better, it is basically two chairs in one: just flip it upside down to adjust the level of back support needed! Tumbleform Floor Sitter: Great for students with significantly low or high muscle tone. Added benefit of pelvic positioning belt and chest harness. Special Tomato Seat: Similar to Tumbleform, with extra bonus that some models have wheels to allow for mobility on the floor! Corner Chair: Excellent choice in that a tray can be added to allow students to work on fine motor skills while being fully supported in sitting! Footstool: Cost-effective option, in that many objects (an overturned plastic bin, wooden block from the motor room, etc.) can be used that are already available at school! Compass Chair: The addition of armrests, as well as height-adjustability, makes this a good option for mild-moderate support. Special Tomato Seat Liners: Available in a variety of sizes, these can attach to almost any style of chair to provide additional pelvic and back support. Activity Chair: Customizable option for students with high seating needs. Added benefits include the availability of wheels for added mobility, as well as other features such as a tilt option for pressure relief. Tripp-Trapp Chair: Great choice within the cafeteria for students needing back, pelvic, and foot support during lunchtime! Leckey Pal Classroom Seat: Similar to the Compass Chair, with additional pelvic support for students with higher seating needs. Of course, there are many additional options not listed here that could work great for your student too! Deciding on the best alternative seating option for students is always an individualized process, and will likely require several tries to get it right. This could mean tucking a folded blanket for trunk support here, adding a neck pillow for head support there: whatever works for your student! Please feel free to share your ideas and thoughts on this topic, and let’s all work together to help our students into sitting their very best! Nik is a school-based physical therapist working with families and students ages birth-21 years old. He has additional pediatric clinical and volunteer experience in inpatient, outpatient, and community rehabilitation settings. Nik’s professional interests include assistive technology, improving services for transition-age students, and teletherapy. In his free time, Nik enjoys spending time with his wife and puppy, and running ultra-marathons. I just discovered the new Scallop chair from R82. It is a more supportive version of a camp chair that can be used on the fooor or as an insert in a chair. I love it! Thanks for the great information and sharing it!